Designed for Inflatables and Hard Shell Dinghies. 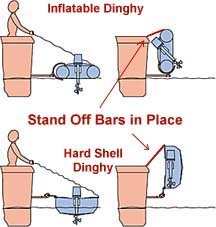 For inflatable boats and hard shell dinghies, this "pivoting" bracket allows the boater to leave the outboard motor on the dinghy when raising dinghy to vertical position on swim platform because the bracket pivots to different angles. 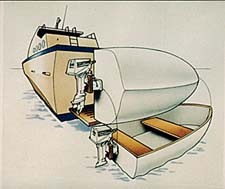 Eliminates need for storage for motor, no spilling of fuel or oil. • 90 degree and 45 degree positions. • Max 9.9 HP, max. weight 100lb. 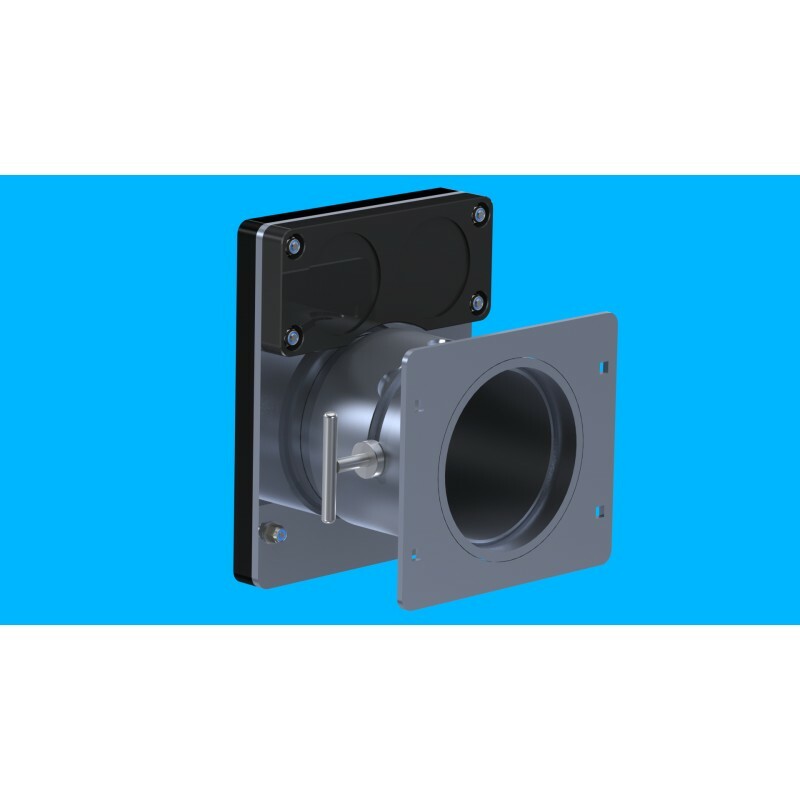 • This innovative "pivoting" bracket allows the boater to leave the outboard motor on the dinghy when raising dinghy to vertical position on swim platform. 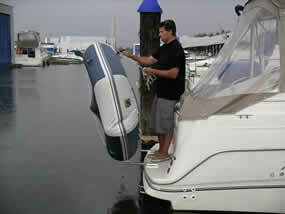 • Eliminates need for storage for motor, no spilling of fuel or oil. 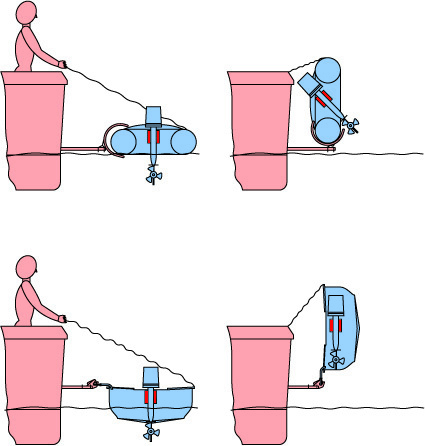 • No need in rough seas to take risks to move motor. • 6061-T6 aluminum alloy, anodized. • All fasteners are stainless steel and included. • Mounting flange 7" high by 8" wide. 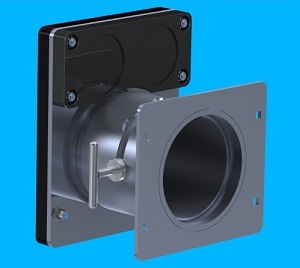 • Depth: 7" out from mounting flange to end of motor mount board. 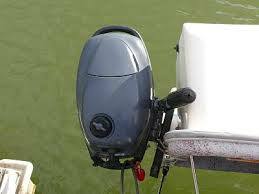 This motor mount works excellent with our Pivoting Davit System for Inflatable boats or with the Quick Snap Davits.